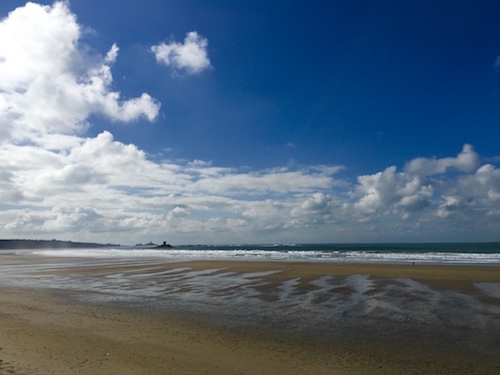 Until this year, neither of us greedy sisters had ever visited Jersey, but after a recent trip to this stunning island I feel sure we will return again. 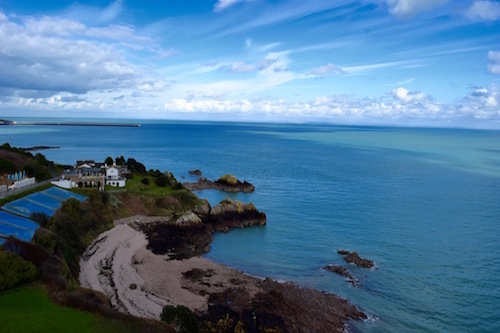 From fantastic food to stunning scenery and a varied history, Jersey has so much packed in to just 45 square miles. 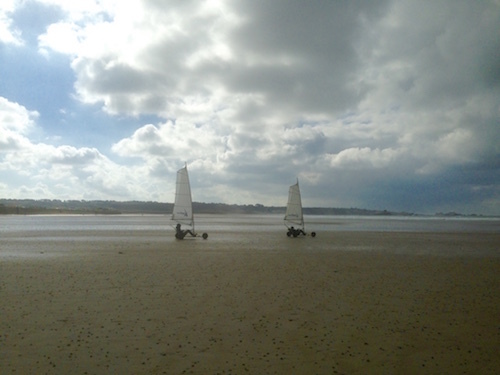 A long weekend wasn’t nearly enough time, but here are some of the highlights we enjoyed on our taster trip. During our break we stayed at The Club Hotel & Spa, which was a modern boutique hotel where we enjoyed relaxing massages and lazing around the pool. One of its main attractions is the Bohemia restaurant, which boasts a Michelin star thanks to chef Steve Smith. We decided to splash out on the seven-course tasting menu with matching wines, which was every bit as delicious as we expected. Each course was fantastic, though a highlight for me was the scallop, celeriac, apple and smoked eel, paired with a 2013 Macon Fuisse. The final dessert course of rhubarb, champagne and yoghurt was also truly scrumptious and beautifully presented. The restaurant had a contemporary feel and the food combined classic techniques with modern flavour combinations. Just perfect! To burn off some of the delicious Jersey food, we spent time exploring the island’s rugged coastline. There are so many beaches to choose from, with points of interest to be found in all of them. From medieval forts to German bunkers and white sandy dunes to almost prehistoric rock formations, Jersey’s beaches were one of our favourite finds. A fun way to take your coastal exploration to the next level is to try blokarting; a combination of gokarting and sailing. We booked an hour-long session through Absolute Adventures, costing £30 per person. I found it quite scary at times as the karts can pick up an impressive speed when you catch the wind, and I even found myself on two wheels as I took one particularly corner a bit too quickly! But the experience was incredibly fun and is apparently suitable for all ages, as long as you’re feeling brave. Mark Jordan holds another one of Jersey’s Michelin stars at his Ocean restaurant in the Atlantic hotel. We didn’t get chance to head to this part of this island, but we had a wonderful experience at its sister restaurant, Mark Jordan at the Beach. This coastal restaurant had a welcoming, relaxed feel and an extremely appealing menu, containing plenty of seafood. We dined off the market menu, which was excellent value at £27.50 for three courses. The starter was pan seared mackerel, served with Jersey potato salad and beetroot. My main course of steamed plaice, fish goujon and deep-fried gnocchi on a bed of creamy lentils with leeks was so full of flavour I wiped the bowl clean. And to finish this impressive menu, we had a chocolate and hazelnut souffle which has to be one of the tallest, sumptuous souffles either of us has ever eaten. I never realised that Jersey was under German occupation during World War II, with Churchill declaring that he would not be protecting the island. 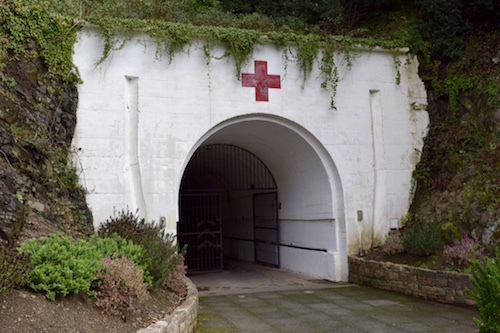 But I soon learned this important fact and more on our visit to the fascinating Jersey War Tunnels, which is a museum housed in over 1km of tunnels that the Germans forced slaves and workers to construct deep within Jersey’s hills. The museum contains galleries and artefacts from the war, including an underground hospital that the Germans built during the occupation. There are a lot of facts to take in during your visit, but the story is presented in an interesting and digestible format that leaves you feeling informed and enthralled. Aside from the German occupation, Jersey has always belonged to Britain. One key reason for this is the heavy fortifications that have been constructed during the last eight centuries, with Mont Orgueil among the island’s oldest and most imposing. 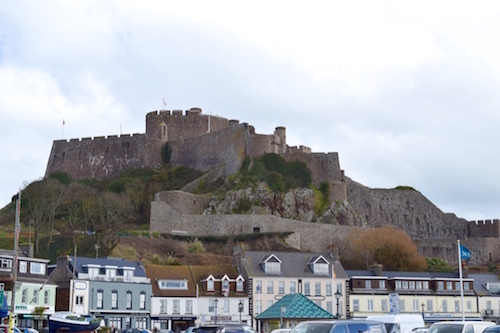 Constructed in the early 13th century, this medieval fortress sits above the harbour of Gorey. We spent a happy couple of hours climbing and exploring, stopping at the very top to enjoy the view of the French coastline. We worked up quite an appetite and headed to Sumas restaurant for lunch, where we had our final meal of the long weekend. It was yet another delicious feast, filled with fresh seafood such as smoked and cured halibut, which we ate on the terrace with a view of Mont Orgueil and the harbour. We flew to Jersey from Manchester with FlyBe. The flights cost approximately £80 return and the journey was under an hour. Easy! We took taxis for most of our journeys, but this was quite an expensive way to explore and I would recommend hiring a car to make it easier to see as much of this beautiful island as possible.